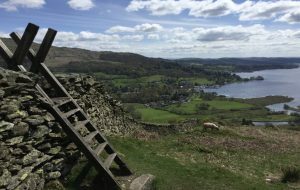 Wordsworth referred to the Lake District as “An unwalled university–all dedicated to plain living and high thinking.” This opening statement from the Charlotte Mason Institute website stirred my wanderlust as I dreamed of visiting this place. This place where Charlotte Mason took her walks and carriage rides and observed her surrounding fells and lakes. This place where Charlotte Mason wrote about her visions of an educational philosophy and educated a generation of teachers. This place, this place, where it all happened. For one week I was a student of this “unwalled university.” I placed my feet in a large room called the Lake District and had my mind expanded to dwell in new places. The sessions were designed to reflect conferences that were held at the House of Education and attended by teachers who had graduated. The significance of place was woven throughout the sessions and afternoon excursions. Our mornings began with Matins lead by Malcolm Guite who inspired us how to use poetry in our prayers. Malcolm’s voice will always be in my head as I read back over the selections. Next, there were morning lessons. We were introduced to geography and history of the area; we did map work using topographical maps to help us get oriented to the places around us. There was an architectural lesson done in St. Mary’s church where Charlotte Mason attended. We learned a country English dance and did an art study of a watercolor painting done by a local artist from the same time period as Charlotte Mason and whose family still runs an art studio in Grasmere, a town near Ambleside. We learned a new song “For the Children’s Sake.” And there was a Swedish Drill lesson to get our blood flowing. The afternoons were for excursions with local naturalists and historians. These were unforgettable. The passion and knowledge that each of the individuals shared was so stirring and delightful. Geography hikes with a glaciologist! I didn’t even know there was such a thing! The details were so orchestrated to reflect how a geography walk would have been conducted. Nature walks were directed by the nature notes of Miss A.C. Drury from 1911 and her flowering herb and tree lists. I will never go by a tree trunk again without looking for lichen. Malcolm enriched our visits to Dove’s Cottage and Rydal Hall with selections of poems that William Wordsworth wrote. A local couple showed us distinct architecture structures of the area as they walked us through Ambleside and then invited us into their home that was built in the 1600s. Evenings were for thought-provoking lectures much like Charlotte Mason conducted at Scale How. There were songs and sonnets at the Beehive—the actual place where Charlotte Mason teachers taught. Malcolm examined Coleridge and the poetic imagination. Rachel Johnson discussed how to evaluate living and picture books. There was a public lecture where thoughts were shared about the significance of place and the development and spread of Charlotte Mason’s ideas for education and the influence of her Quaker connection (This connection particularly got me thinking about some of her ideals that she presents in her writings). These evenings tucked in my mind an idea that I would like to start practicing with my own children. A reflective thought I had at the time: My children are of an age that I think including lectures and discussions some evenings could be valuable. On the last day we had the privilege of hearing from former PNEU students. It was a joy to listen to their reflections. It was refreshing to hear that they didn’t delight in everything during their school days. So when my children are not “delighting” in all of their subjects, I can look back with a smile and know that every PNEU student didn’t delight either. I can’t help laugh about the former PNEU student who kept commenting how she “hated” the games. It was stimulating to be around so many Charlotte Mason researchers and hear their discussions about ideas they were researching, to which they hoped to find answers during their trip to Ambleside. You could see them piecing together mysteries as they asked questions of the lecturers and guides. 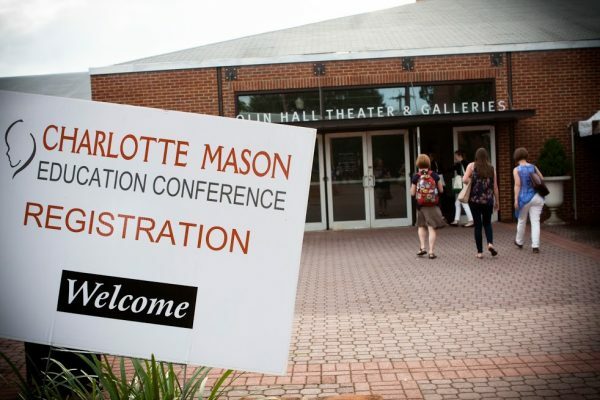 I want to thank the organizers for providing such an immersion in the beauty, breadth, and depth of Charlotte Mason’s world and her works and for helping me make friends with Charlotte Mason and Ambleside. My soul has been awakened! I hope to return!